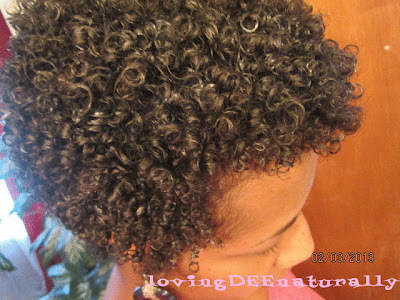 Loving Dee Naturally : Winter Wash and Go ""
The question arises and continues to come up concerning how to maintain/do wash and gos in the winter. I've read several articles on this subject b/c I too had the same question being a new natural several months old and entering into the fall/winter season. I've watched videos of vloggers, some of whom said they cannot/will not do wash and gos in the winter so they do more protective styling and others who say they do wash and gos all year round with no problem. 2. use my hood dryer if I do have to go out OR if my hair is not totally dry by bedtime I'll sit under the hood dryer to dry my hair completely. If my hair has air-dried mostly all day by the time it's time for bed I only need to sit under the dryer for about 20 min. The hood dryer is my mainstay during the winter months. Another thing that works toward not having water in my hair everyday is on days that I don't go out, I will keep my hair in my nighttime wrap/silk bonnet all day long. Even if I do take it off there are times I choose not to refresh with water spritz. Since I do not work outside my home I there are days I can go all day with bedhead curls. They plump out a little during the day if I don't refresh with water but my curls are set and have good hold. Many times after my workout, the sweat that I do produce serves as some moisture to my curls and so does the steam from the shower. Many days just the steam from the shower is sufficient for my curls to plump out so I don't have to spritz my hair. I know that my situation may not be like many other naturals who have to go out everyday. I am a stay at home mom so I do not have to go out everyday. I realize others do, so I just wanted to share some tips that may help those who want to wear wash and gos in the cold weather b/c I feel it is possible with a little planning. So here are my tips for how to wear and maintain and wash and go during the cold months. If your job is indoors and conducive to this: spritz your hair(if you need to) once you get to work. That way you are in a heated building and not out in the elements and your hair and curls can be refreshed, dry and set again as you go about your workday. If you have a job where you have to be out in the elements I would just keep my nighttime silk bonnet on under my hat and wear my hat and scarf and whatever else. Showing your curls, in this instance. is not priority...keeping warm is. Put the heat on high in your car on the way to work and if you have a decent driving distance your hair may be dry by the time you get there. Me personally, I would only do this if my hair was almost dry. I don't want to sit in a cold car with my scalp/head feeling wet. If spritzing your hair is an issue, develop an effective nighttime/morning refresh routine to where your curls will last all week and also to where you will not have to spritz everyday. Try letting the steam from the shower saturate your curls and if your hair is long enough then...shake...don't spritz. If you have any frizzy spots you can do a spot touch-up with a little water and conditioner. That way your whole head is not wet. Cleanse/restyle your hair preferably on a day you do not have to go out. If you do have to go out, (or even if you don't) either diffuse your hair or sit under the hooded dryer. I feel that wearing wash and gos during the winter is a can-do situation and one in which you do not have to have wet hair all the time, depending on how you work it. These are just some tips that I wanted to share b/c some of these are the ones I use during my week and it works for me.....hopefully they will work for you too! Wintertime wash and gos do take some extra effort in planning, consistency and diligence but I feel it can be done for those who want to do it. Here are a couple of other resources that may contain additional tips and strategies that may be helpful on winter wash and gos. 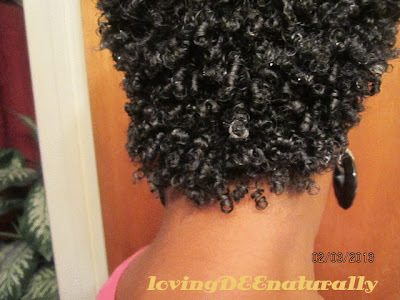 Here is an article from NaturallyCurly.com and their tips on how to rock your wash and go during the winter months. Here is a video from MahoganyCurls who has rocked her wash and go for several years(at the time of shooting this video). I think you make a great point! I do remember my somewhat frizzy wash and gos this past summer and I do notice how well my curls last (non-frizzy) now. So there are aspects to each season that I love re: wash and gos. I absolutely LOVE the warm weather and letting my hair air-dry in the heat of summer but yet I LOVE how my style lasts all week in the winter...only restyle once per week. Wash and gos year round...LOVE IT!!!!! Thank you, my dear, for your input! Great perspective!